Today we introduce a mod that lets you use new type of door and light bridges with the Halo game style. Light Bridges and Doors Mod 1.7.2 and 1.6.4 is a mod that adds new objects like a door light, a bridge of light, light rails, a light barrier and a gravity lift. All these objects except gravity elevator need redstone signal to run, and interact with buttons, as with pressure plates or levers. Both the bridges of light and the rails will extend to a distance of 50 blocks. 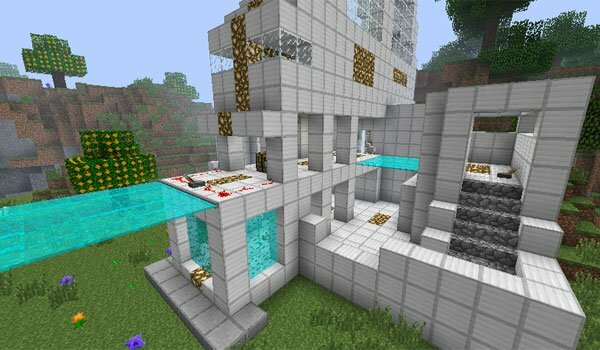 How to install Light Bridges and Doors Mod for Minecraft 1.7.2 and 1.6.4? Double click the downloaded file to run the Forge installer . Bridges light, a new class of door and gravity elevators!